Jay Z and Beyonce are planning to attend the World Cup in Brazil, but have had to ask David Beckham for advice as they don't know anything about soccer. Jay Z and Beyoncé are going to Brazil for soccer's World Cup - despite knowing nothing about the sport. The couple are planning to head to Rio in June for the tournament because they think there will be a great "party atmosphere" and have enlisted the advice of their friend David Beckham to boost their knowledge of the contest. 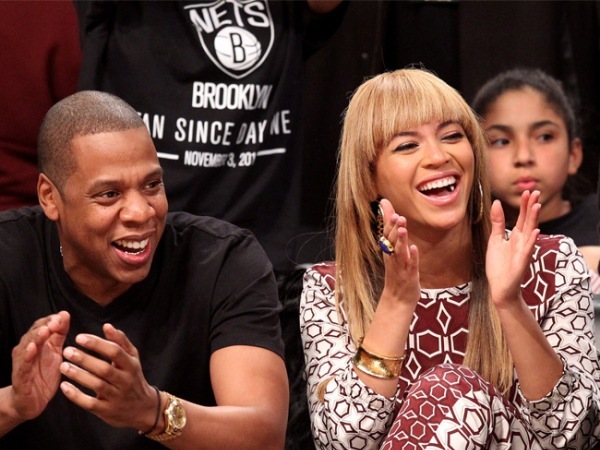 A source said: "Jay and Beyoncé don't really take an interest in football. But they love the idea of the party atmosphere that will surround Rio during the tournament. They're both pals with David and Jay has been asking him for advice on which games will be the best. " "He admits he doesn't have a clue when it comes to football, but David has been telling him which games he thinks will have the biggest buzz. He's even promised to organise VIP tickets for them for some big games." Beyoncé (32) and Jay (44) will be joined on their trip by two-year-old daughter Blue Ivy because the 99 Problems hitmaker thinks it will be a good family bonding experience. The source added to the Daily Star newspaper: "They're taking Blue Ivy with them to make it extra special. Jay thinks that it will be good for them to have some quality time together as a family and Blue will be fascinated by the colours and buzz of Rio." "They are both so excited about the trip now. Both Jay and Beyoncé think that attending the World Cup in Brazil is a once-in-a-lifetime opportunity. They think it's going to be like the Rio Carnival multiplied by about a hundred."